We’ve outlined countless ways to light spaces effectively, but we’ve done little to address the most common mistakes people make. For many homeowners, illuminating a room can seem as simple as installing a light fixture and flipping the switch; however, neglecting to consider certain aspects of your lighting can result in wasted energy or a lack of light where it’s needed. If the lighting in your home feels “off,” chances are you're making one of these simple errors. 1. Only one light source. 2. Insufficient lighting in small spaces. Small spaces such as closets and pantries are often left off home lighting plans, but that doesn’t mean they should be. Typically lit with a single overhead light, leaving shadows on the shelves and storage space below, finding items in these cramped places can be aggravating. Consider installing under cabinet lights or LED tape light to make it easier to navigate these spaces, while at the same time making them appear clean and stylish. See our article on getting creative with small spaces for more ideas. 3. Lights in the wrong color temperature. Cool light vs warm light. Lights in the wrong color temperature can make rooms feel faded and lackluster. Color temperature describes the warm/cool characteristics of light according to its color, ranging from the orange glow of a candle to the bright blue light of the sun. Most lights have color temperatures between 2700K and 6500K. The closer to 2700K, the more warm or yellow-orange the light is; the closer to 6500K, the more cool or white-blue the light is. The particular color temperature you need depends on many factors, including your room, application, and even the paint on your walls. Educate yourself and choose carefully to get the right lights for your space. Lighting controls such as dimmers, timers, and motion sensors allow you to adjust or automate certain aspects of your home lighting. Used properly, they can even save you money on your electricity bill. Dimmers are best used in areas where you want to occasionally create a more intimate ambiance with low-level lighting, such as living rooms, dining rooms, bedrooms, or master bathrooms. Timers are best used in conjunction with photocells for managing your outdoor lights. Motion sensors can be divided into two classes, occupancy and vacancy sensors, which remember to turn lights on and off when you don't. Learn more about how to choose (and use) dimmers, timers, and motion sensors on our blog! 5. Wrong fixtures for a room. The wrong light fixtures can make rooms feel awkward or cramped. Two of the most common mistakes people make when choosing light fixtures is prizing style over functionality, and not considering the size of the fixture versus the size of the room. Finding the perfect light fixtures can be a painstaking process, but if you go into your search prepared, you’ll save yourself some time and unnecessary frustration. Check out our article on the dos and don’ts of choosing light fixtures for ideas. Not only is it important to choose the right light fixtures, but it is also important to make sure they are placed in a room effectively. For example, in kitchens, many people have a recessed can layout over the entire the room rather than only along the outskirts above countertops or workspaces such as stovetops and sinks. The problem is that can lights don’t put enough light on vertical surfaces (such as walls) where the eyes perceive light, which can leave these spaces feeling cave-like despite all the lights. Wall sconces are also easy to position incorrectly. In the bathroom for example, two sconces should be placed at eye level about 5-6 inches from either side of the mirror to minimize the shadows cast by overhead lights. With so many technologically-advanced light bulbs on the market, it makes little sense to continue replacing your energy-wasting, obsolete incandescent lights with more of the same lights. 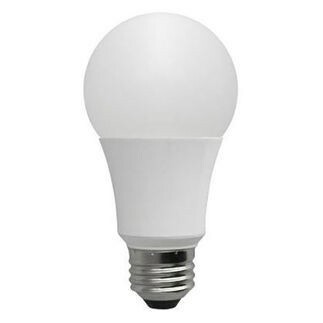 CFL lights and LED lights are made in greater variety of options today than ever before. When replacing your next burned out bulbs, check to see if they are available in energy-efficient models. You could save yourself hundreds of dollars on your energy bill each year just by swapping out your lights! Did you make any of the mistakes on this list, or do you suspect your lighting problem lies elsewhere? Tell us below and get more lighting tips and updates on Facebook, Twitter, Google Plus, LinkedIn, Pinterest, or Instagram!